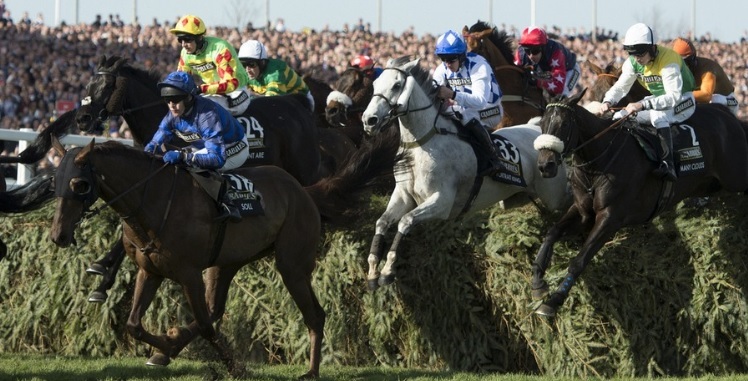 The 2019 Grand National is on Saturday 6th April (5.15pm), and we have all the bookmakers paying extra each way places here. Keep an eye on this page because we will be adding more bookmakers to the list as they add the extra each way places. The Aintree Festival and Grand National meeting is one of the biggest betting events of the year, it’s the ideal time to try Profit Maximiser. This service will show you how to profit from Grand National extra places. Profit Maximiser is a betting service that makes risk free money from money back offers, and sign up offers. Big horse racing events such as Aintree and the Cheltenham Festival are ideal times for users of the Profit Maximiser service. This is due to the amount of new customer offers, and reload offers. Reload offers are basically free bets for existing customers. As the Grand National is a Handicap race, the standard terms for each way betting are quarter of the odds for the first 4 horses. This is the minimum terms you should get though. In previous years the bookies have offered 5, 6, and even 7 places (there was a couple back in 2017), so we’re not going to settle for 4. As well as the amount of places varying on this race, so does the payout from the bookmakers. You might find that of the bookmakers offering 5 each-way places, some are offering it at a quarter of the odds, while with others it will be for a fifth of the odds. The Grand National is the most prestigious steeplechase race of the year. It is also a Handicap race, which means the horses are laden with differing amounts of weight so that – in theory – the horses should all pass the finishing post at the same time. Obviously this will never happen. The aim is that the better the horse, the more weight it carries. This is to try and aim for a more even and open race. This is where the National differs from other big races, like the Cheltenham Gold Cup, where it is just a straight race which the best horse wins. The race is ran over a huge distance of 4 miles, 2 and a half furlongs. These is a cool £1,000.000 up for grabs for the winner of the race. When And Where Is The Grand National? The 2019 Grand National is being run at it’s home course of Aintree in Liverpool. The race is on Saturday 6th April, at 5.15pm. It is the showpiece race of the Aintree Festival, which is a 3 day event. This year the Festival is on Thursday 4th April, Friday 5th April, and Saturday 6th April. Yes, the big race is live on ITV1. Coverage of the main races of the whole 3 days of the festival is available across the ITV network. Remember, don’t settle for 4 each way places. There is always extra places available on the Grand National, don’t see yourself short changed.